Our last issue provided some insight into the truth of the ‘ingredient list’ on the side panel of pet food bags. One does not have to be a dietitian to understand that AAFCO enables pet food manufacturers to do the least for the most. The bottom line is about profit, not nutritional quality or compassion for your pet. Manufacturers resist any attempt by regulators to hold them more accountable to the consumer. The fact that manufacturers spend more on marketing and packaging than on quality ingredients is telling on its own. In this issue we will take a deeper look into the ‘rules’ of protein content in pet foods. The results may surprise you. AAFCO requires a minimum of 18% protein content in adult foods. The stated amount of “18% protein content” on the label and the amount of protein content actually contained in the food may not be the same. Provides one meat-based ingredient of 100% total weight when added (i.e. before processing). The 100% rule also allows one meat ingredient to be included “with” the other – e.g. Chicken ‘with’ Real Bison. Keep in mind that processing is intended to remove moisture and that most whole meats contain 70% or greater moisture content. After processing, the actual meat content may be less than 30% of its original weight when added. 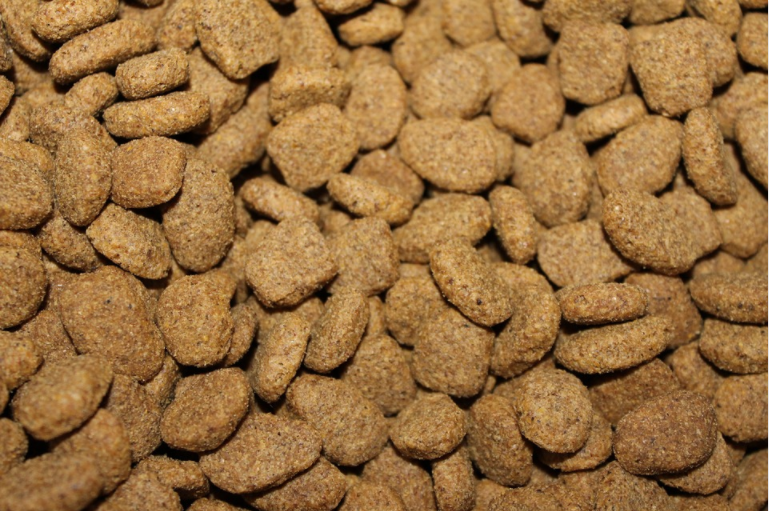 Meat meals have moisture removed prior to processing for kibble manufacturing. Kibbles that list meat meals as the primary protein may contain a greater amount of meat protein than those with whole meats listed as the primary ingredient. Requires animal derived ingredients in the kibble must be 95% of total weight when added (i.e. before processing). Most kibbles are a maximum of 10% moisture. This means that a listing of 95% whole chicken may actually be less than 30% meat after processing. a.) The ‘Dinner Rule’ allows foods with 25% meat protein to be labeled as “dinners.” The 25% meat is weight does not consider water sufficient for processing. When moisture is removed, the total meat content can be less than 3% by weight. If a food is labeled as “Beef Dinner” chicken meal may be the second meat-based ingredient. Meat ‘meal’ is dried (i.e. moisture is removed) before added. The beef is ‘whole when added’ which includes moisture. This means that chicken meal, even though it is listed as the secondary ingredient may actually be the higher protein amount even though the label creates the illusion that beef is the primary meat ingredient. b) The ‘Formula’ or ‘Entrée’ Rule allows the total beef content to be reduced to 3% after processing, with a secondary, lower quality meat source, such as chicken added as ‘meal’ (i.e. moisture removed when added) to make up the balance of 22%. These dinners, labeled as Beef Formula or Beef Entrée, in reality contain 3% (or less) beef. Also known as the ‘with’ rule allows food to be named after a minor ingredient. The front of the package (i.e. the part that faces the aisle) will have the big, bold words ‘with Real Beef’ or ‘with Real Bison’ to provide the illusion that the primary protein ingredient is beef or bison. The ingredients list and Guaranteed Analysis on the side panel will show that the primary protein is 3% or less of the total meat content. How can this be? Using Bison as the example: Bison is weighed when added including the 70% moisture content. ‘Meals’ are measured on a dry matter basis (DMB), which means that moisture has been removed before adding to the food. When moisture is removed from Bison, the total content in the food can be as little as 4 – 5%. When the 5% Bison is included with 5% chicken meal and 15% turkey meal (two lesser quality and less expensive protein sources), the total content is 25%. In reality, the target protein that is profiled on the front face of the package – i.e. Bison, is only 4 or 5%. An example of a food manufactured under the ‘Flavour rule’ will have a statement on the front of the bag that may say “with savoury beef bits”. Ingredients, including animal-based proteins are listed in order of appearance by weight when added (i.e. before moisture is removed). Although the meat of the ‘meat-based’ flavor must be identified (i.e. beef, chicken, lamb, etc. ), the source can be from animal waste or digested material. All kibbles are processed foods. 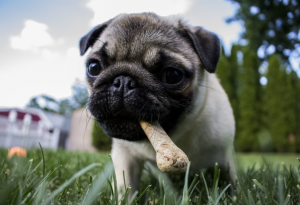 Commercially processed foods for pets are just like processed foods for humans – even the BEST quality products contain unhealthy substances, required for preserving the ‘freshness’ of the food. The bottom line when selecting a commercial food for your pet is to carefully read the label and be aware of what the words are REALLY telling you.